Bloody Friday‘ is the name given to the events that occurred in Belfast on Friday 21 July 1972. 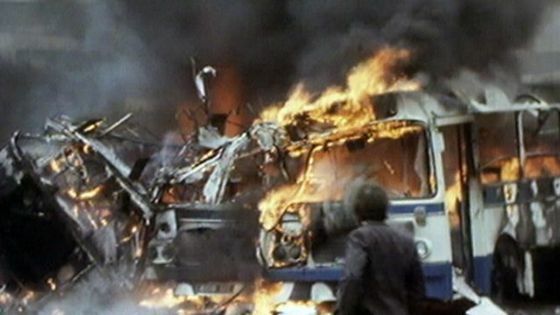 During the afternoon of ‘Bloody Friday’ the Irish Republican Army (IRA) planted and exploded 22 bombs which, in the space of 75 minutes, killed 9 people and seriously injured approximately 130 others. In addition to the bombs there were numerous hoax warnings about other explosive devices which added to the chaos in the streets that afternoon. Many people believe these hoax warnings were deliberately used to reduce the effectiveness of the security forces in dealing with the real bombs. The killings and maimings had a profound impact on most people in Northern Ireland. ‘Bloody Friday’ also led to the decision by the British Government to implement ‘Operation Motorman’ (31 July 1972) when, in the biggest British military operation since the 1956 Suez crisis, the British Army entered and ended the ‘no-go’ areas of Belfast and Derry. Two members of the Irish Republican Army (IRA) died when a bomb they were transporting exploded prematurely. Christopher Ewart Biggs (54), then the British Ambassador to Ireland, was killed in a landmine attack on his official car in Sandyford, Dublin. His secretary, Judith Cook (25), was also killed in the explosion. 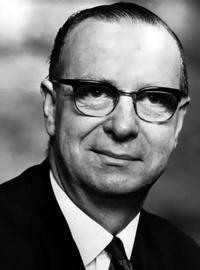 Merlyn Rees, then Secretary of Sate for Northern Ireland, was originally to have travelled in the car as well. A British soldier was killed by a booby trap bomb in an Army base in Derry. It was announced that Pope John Paul II would pay a visit to Ireland on 29 September 1979. Ian Paisley, then leader of the Democratic Unionist Party (DUP), and the Orange Order warned that he should not visit Northern Ireland. Gerry Fitt, formerly the Member of Parliament (MP) for West Belfast, was made a life peer. James Molyneaux, then leader of the Ulster Unionist Party (UUP), was appointed as a Privy Councillor. The United Ulster Loyalist Front (UULF) was formed in Portadown, County Armagh, to oppose the re-routing of Loyalist parades away from Catholic areas. Tomás Ó Fiaich, then Catholic Primate of Ireland, was reported in an interview in the Universe, a Catholic religious newspaper, as having said that he believed that 90 per cent of religious bigotry in Northern Ireland was found among Protestants. The British government announced that Shorts aircraft company in Belfast was to be privatised. Following a meeting with Tony Blair, then British Prime Minister, David Trimble, then leader of the Ulster Unionist Party (UUP), said that he could not support the proposals on decommissioning being put forward by the British and Irish governments. SF representatives were admitted to Castle Buildings in Stormont, Belfast, in order to establish their offices for the forthcoming talks. The Democratic Unionist Party (DUP) and the United Kingdom Unionist Party (UKUP) immediately left the building and urged the Ulster Unionist Party (UUP) to do likewise. The Irish Republican Army (IRA) issued a statement rejecting demands for it to decommission its arsenal “in the current political context”, but confirmed its “definitive commitment” to the success of the peace process. While it did not rule out the prospect of decommissioning, the IRA declined to confirm whether it supported the Sinn Féin (SF) initiative in signing up to the principle that decommissioning should take place before May 2000. The 32 County Sovereignty Committee called for “an alternative peace strategy” to the ‘Way Forward’ proposals.
. Molloy had been abducted from his home in Ardoyne, Belfast, in 1975. There were accusations that he had been an informer for the security forces. Shot at his home, Clovelly Street, off Springfield Road, Belfast. Killed in car bomb explosion at Oxford Street Bus Station, Belfast. Inadequate warning given. Killed in car bomb explosion outside row of shops, Cavehill Road, Belfast. Inadequate warning given. Shot at his home, Deerpark Road, Oldpark, Belfast. Shot during gun battle, Cromac Street, Markets, Belfast. Killed in premature bomb explosion while travelling in car, Newcastle, County Down. British Ambassador to Ireland’s secretary. Killed in land mine attack on his official car, Sandyford, County Dublin. Shot while renovating premises, Bank Square, Maghera, County Derry. Fellow worker, off duty Ulster Defence Regiment member, the intended target.